​​​​Friendly, professional and honest service. 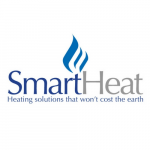 Smart Heat is a fully qualified, fully insured and gas-safe registered company based in London. The company is built on a solid foundation of more than 10 years’ industry experience, so you can rest assure the job will be done by a professional.